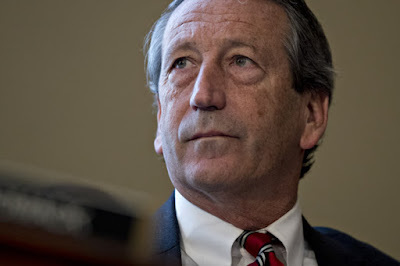 It is still staggering to me that Mark Sanford, until last night, had never lost a reelection battle in South Carolina. A 20+-year career, Sanford came to power during the 1994 Republican Revolution and won the governor's mansion by defeating the only Democrat to win in the Palmetto State since 1987 (Jim Hodges). He then became synonymous with hiking after trying to cover up an affair he was having, quickly got involved in a scandalous divorce, made it through impeachment hearings, and still managed to be succeeded by a Republican and eventually win back his seat in Congress. That's an impressive run, regardless of your opinions of the man, that few people could achieve. But Sanford couldn't overcome the unstoppable force in the GOP come 2018: Donald Trump. Sanford has been one of Trump's more frequent critics (by Republican standards, anyway), but was still assumed to be safe until yesterday, when it became clear that Sanford would struggle against State Rep. Katie Arrington. 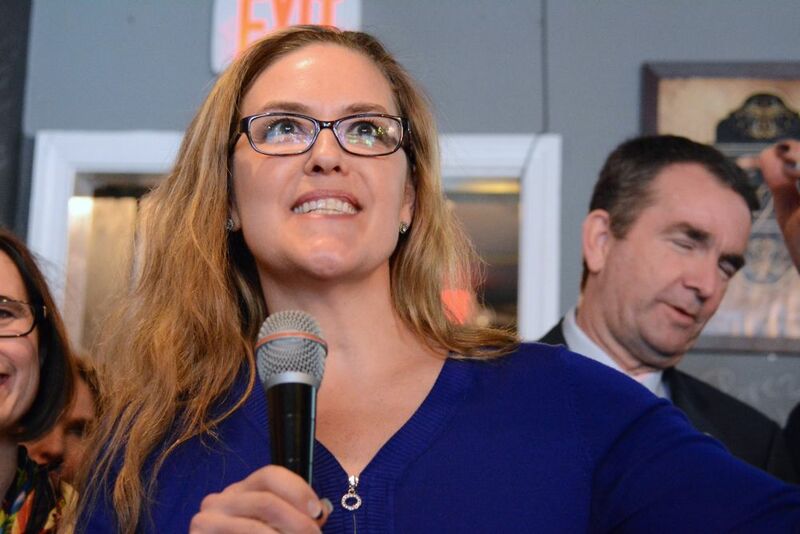 It's impossible to know how much help Arrington got in a late afternoon tweet from President Trump supporting her, but it couldn't have helped Sanford. I have to say, I cannot remember the last time that an incumbent president balked at a sitting member of Congress's reelection ahead of a primary (if you know, share in the comments), not even in the midst of a scandal, and here we have someone doing it because of his disagreeing with the president...and it worked. This has to put the fear-of-god in most Republicans (outside of Utah, where such things don't seem to matter) who want to cross Trump and have a career in 2018, and politicians like Martha Roby seem much more endangered than they initially appeared. The story of the year for Republicans has been fierce Trump loyalty, but the story for Democrats continues to be a strong bet on female candidates. This was certainly the case in Virginia last night, as all four of the most competitive primaries went to women. Some of these races were already done by Election Day, with Leslie Cockburn in the 5th already clinching the nomination, but others were contested. Navy Commander Elaine Luria and CIA Officer Abigail Spanberger easily dispatched challengers in their districts to advance to the general against incumbent Republicans, and in a particularly strong rout (considering how much money had already been poured into the race), State Sen. Jennifer Wexton won a comfortable victory in Virginia's 10th district. One could argue that the 10th district is the toughest general election for an incumbent Republican on the map right now, with Rep. Barbara Comstock standing for reelection against arguably the most formidable opponent in the district, a district that Hillary Clinton and Ralph Northam both easily cleared by double-digits. This is also on the outskirts of DC, the most politically-aware city in the country, and one of the most Democratic, so it's hard to imagine that Wexton will be lacking in volunteers as the weeks wear on-Comstock is probably a goner after last night, and her unimpressive primary victory just underlined that. It's not impossible for an incumbent to win despite the odds in a wave (Jim Gerlach and Collin Peterson made careers out of it), but Comstock still being in Congress this time next year would be a huge upset. Tim Kaine is hardly an incumbent that was worrying about reelection. In an increasingly blue state, Kaine seemed like an easy victory regardless of whom the Republicans picked for their standard-bearer, and that remains true after today. 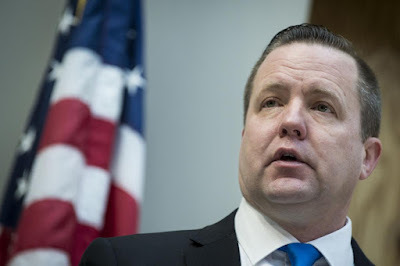 However, that doesn't mean that Kaine's election couldn't matter, particularly now that Corey Stewart is his opponent. Stewart barely won last night's primary, but as the top Republican now on the ballot, he could have a dramatic effect on the down-ballot races. Stewart's a known supporter of racist causes, and has made removal of Confederate monuments a centerpiece of his campaign (he's against it, if you couldn't guess). He's campaigned alongside noted white supremacist Paul Nehlen, and Stewart blamed "both sides" in the hit-and-run death of Heather Heyer. President Trump has quickly coalesced around Stewart this morning (saying he had a "great victory"), but it's doubtful that Virginia Republicans will be so happy. Comstock, in particular, is put in a impossible situation here, where she can't win by embracing Stewart, but probably can't win without at least some of his voters either. Virginia's four House seats leave a lot of potential on the table for the Democrats, particularly since all-but-Comstock's seat are "Leans R" right now. If Stewart becomes toxic or divides Republicans, a 2-4 seat gain by Democrats in otherwise Republican-favored districts could go a long way in ensuring a victory in the House. Nevada didn't have any surprises last night-the presumed frontrunners won in the state's competitive governor's, Senate, and 3rd/4th House district races. You shouldn't confuse run-of-the-mill for the Silver State having a boring November, though, as it's arguably the most atypical state on the map. This is because Nevada is the only state in the Union that has a Republican running for reelection in a state that Hillary Clinton won. Sen. Dean Heller, a two-term Republican from the state, is attempting to best first-term Rep. Jacky Rosen, who has run a spirited campaign so far and seems to be neck-and-neck with the senator. Heller is arguably the slightly more skilled politician (he's won close races multiple times before), but this is a tough cycle to be a Trump loyalist in blue territory, and Rosen is hammering Heller on his votes, particularly regarding healthcare. It's impossible to imagine a Democratic majority that isn't comprised by Rosen, and quite frankly it's impossible to imagine the Democrats even having a break-even night if Heller doesn't lose, so expect a lot of attention here in the months ahead. On the flip side, Nevada is that rare state that the Democrats are only playing defense, not offense as the 2nd district doesn't seem in their range. The open 3rd and 4th districts were both marginal in 2016 (Trump took the third by a point, Clinton won the 4th by just under 5 points), so both sides are at least marginally interested in the seats, though it's worth noting that the Democrats appear to have a slight edge in both, and weirdly all four candidates here are recent political losers in bids for Congress. 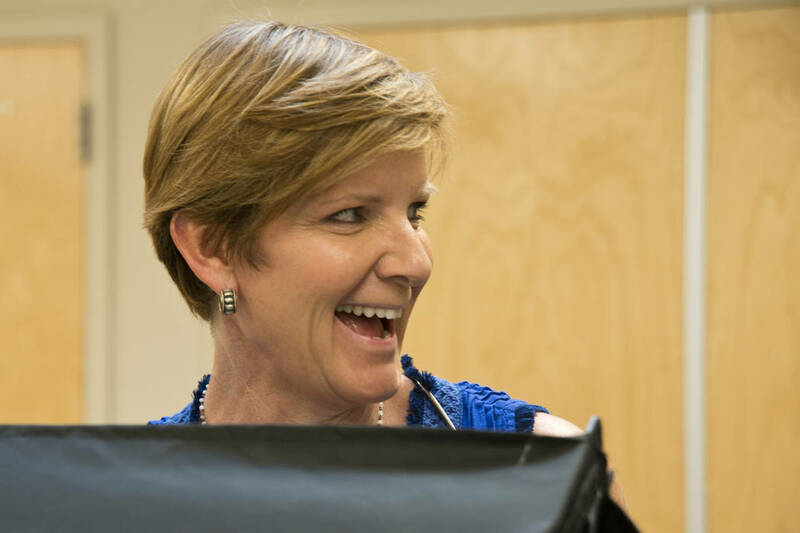 On the left in the 3rd is philanthropist Susie Lee (who lost to Rep. Ruben Kihuen in a primary in 2016) and in the 4th former Rep. Steven Horsford (who lost a reelection bid in 2014). On the right is former Rep. Crescent Hardy in the 4th (he lost his reelection bid in 2016) and in the 3rd is frequent candidate Danny Tarkanian (who has lost six recent elections, albeit almost always by close margins). In a more neutral setting Lee vs. Tarkanian would be a marquee race (both come with a bucket of personal funding ability), and in a Republican-leaning year one would assume the Horsford v. Hardy rematch would be noteworthy, but in 2018 it's probable that Lee & Horsford are the frontrunners. In March, Wisconsin Gov. Scott Walker was ordered by a judge to hold two special elections for open state seats in the State Senate and House. 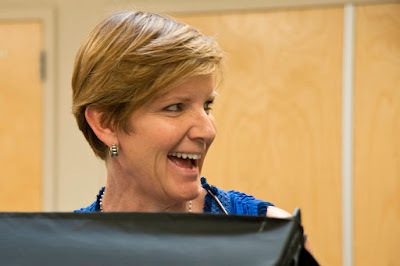 As both seats had been held by Republicans, Walker was trying to keep the seats open as long as possible in the wake of the stunning victory by now-State Sen. Patty Schachtner, where she easily won a seat that had gone by a huge margin to President Donald Trump. A judge ordered him to hold the elections anyway as he was violating Wisconsin law, and last night was the special elections...and once again the Democrats picked up a major State Senate seat in a district Donald Trump won decisively. 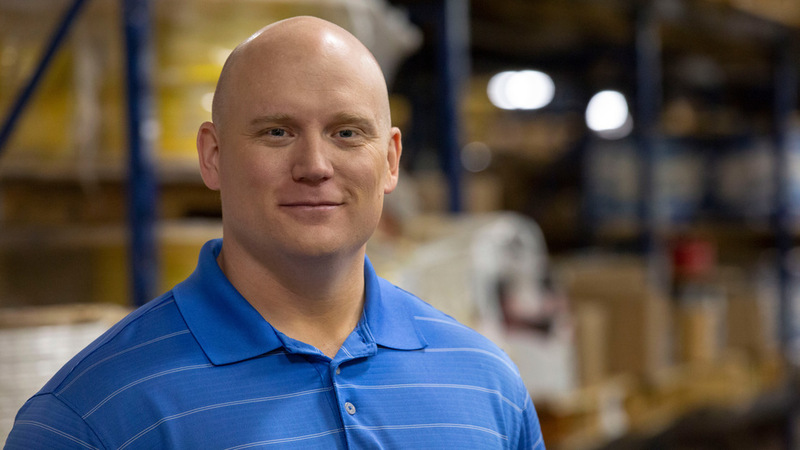 While not quite as large of a margin-of-victory as Schachtner's, Caleb Frostman still managed to eek out a victory in the late hours of last night, defeating Republican State Rep. Andre Jacque by just over 2-points. This was in a district that Donald Trump took by 17-points, so it was a big swing in Frostman's direction, and it's also a seat no Democrat has held in 40 years. This is a telling sign for Walker. While ultimately this means little (Frostman has to stand for reelection in November, and it's unlikely he'll vote on any major pieces of legislation before then thanks to the State Senate being out-of-session), it could be a bellwether of an electorate that is increasingly souring on Scott Walker, a controversial figure who has won statewide three times, but only once in an environment that didn't favor the Republicans. Frostman's win also means that the Democrats are just two seats away from winning the State Senate, something they haven't achieved since 2012.